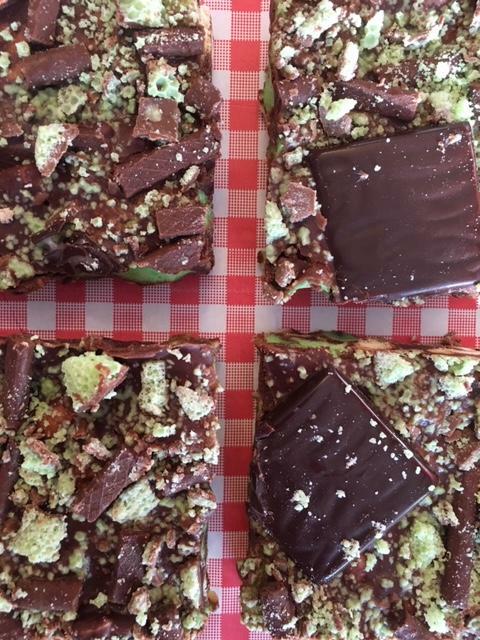 A delicious box of 4 rocky road squares with 6 flavours to choose from. 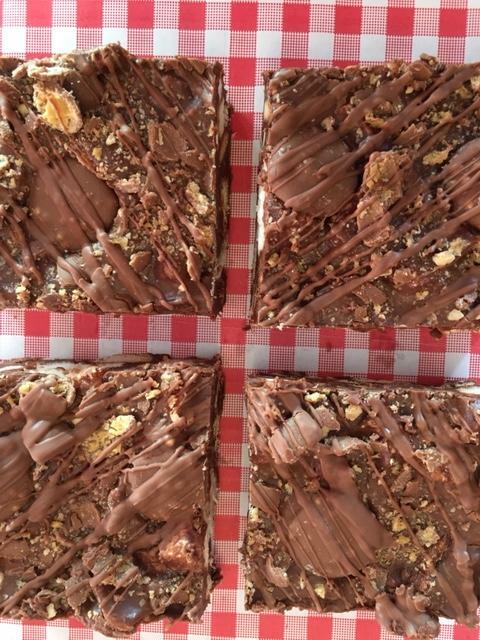 Each rocky road square is crammed full of chocolate, biscuits and handmade flavoured marshmallows and topped with lots of goodies. A perfect gift for everyone or ideal for treating yourself. 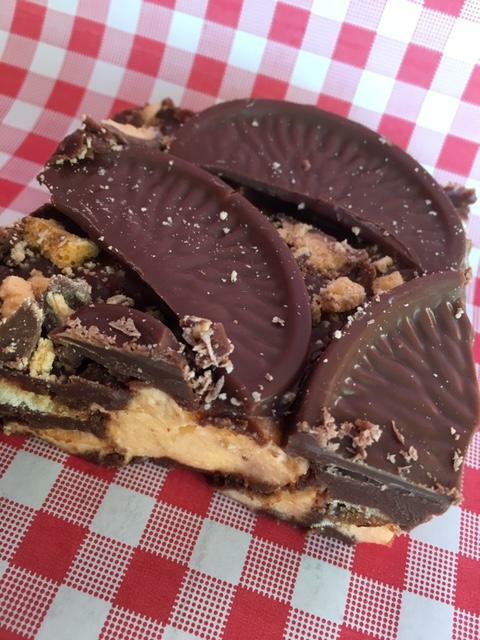 Chocolate Orange - Rocky road made with Jaffa Cakes, Chocolate Orange, Orange Aero, along with orange flavoured chocolate and our handmade orange marshmallows. 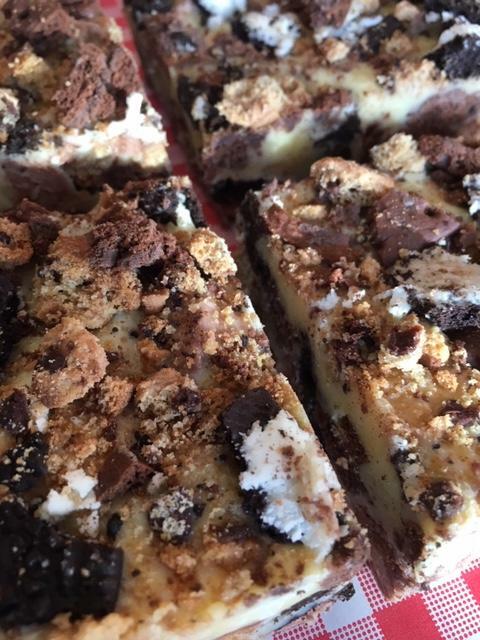 Malteser - Rocky road filled with Malteser spread, Malteser Button, Malteser crumb and handmade vanilla bean marshmallows. Cookies and Cream- Crammed with white chocolate, Oreo, Chocolate chip cookies and bourbon biscuits, and handmade chocolate marshmallows. Peanut Butter - Perfect for peanut nutters! Made with peanut M & M's crumb, Reese's Rounds, peanut butter and handmade peanut butter marshmallows. 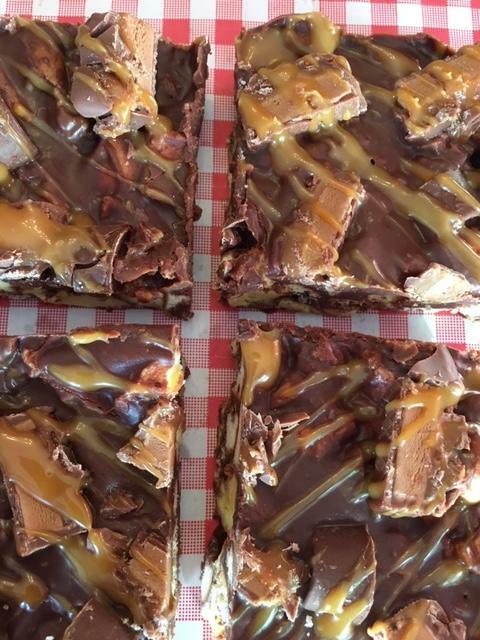 Salted Caramel - Made with Mars bars, Rolo, salted caramel sauce and our handmade caramel marshmallows. Mint - Minty goodness in every bite! A mint chocolate mix, filled and topped with chocolate mint creams, mint Matchmakers, Mint Aero and handmade mint marshmallows.